There is no better way for gnomes and fairies to spend a leisurely moment than by relaxing on a stone bench in your fairy garden. 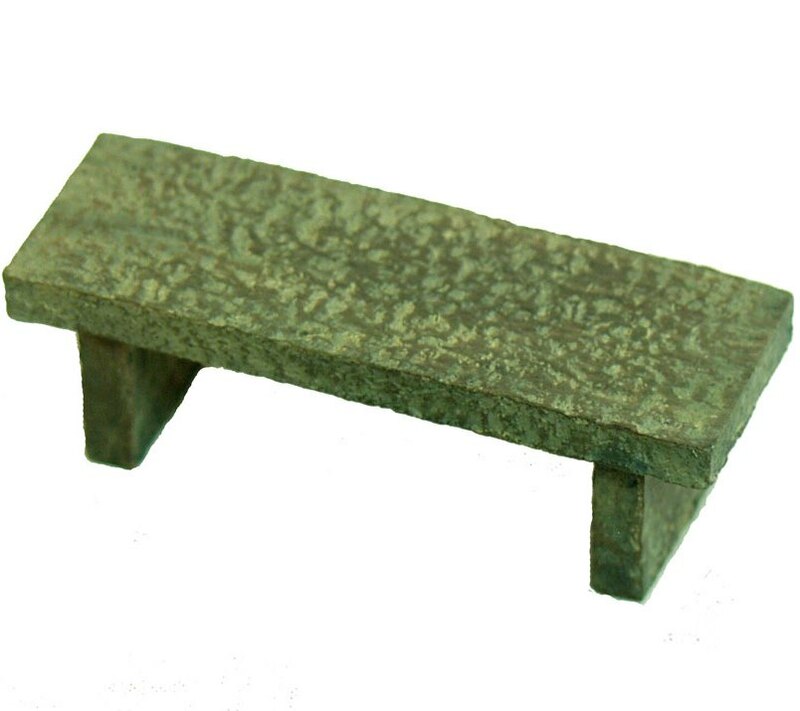 The mini Stone Bench is a featured a la carte accessory item that goes perfectly in a miniature garden. Whether you are a veteran miniature gardener or perhaps a novice, you'll be sure to enjoy this spunky addition. Actual color is stone grey. Echo Valley miniature garden accessories are crafted from quality materials. Built to endure the elements. Easy to use. The impressive detailing of each item is very obvious. DIMENSIONS: 0.88" x 2.63" x 0.88".